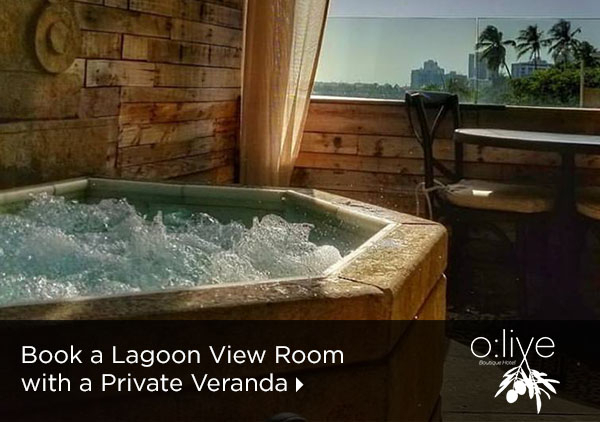 Olive Boutique Hotel holds a waterfront location by Laguna del Condado, only a 10-minute drive from Isla Grande Airport. 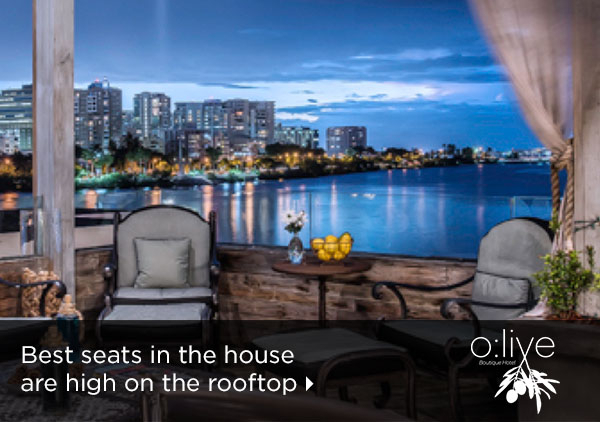 Located right by Laguna del Condado, Olive Boutique Hotel’s achieves a unique blend of comfort and intimacy in the historic and adventurous city of San Juan. 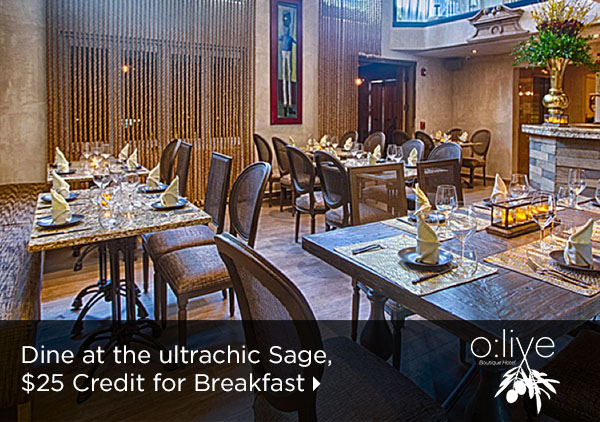 Olive Boutique Hotel's ystunning décor draws inspiration from Morocco, Spain, France, and Italy. The artworks displayed in the hallways are a private collection of photographs taken during the hotel owners’ travels. Chef Mario Pagán, locally and internationally recognized as one of Puerto Rico’s top chefs, is the head of the hotel’s restaurant, Sage Steak Loft. Local flavors are incorporated into steakhouse classic staples to provide guests with a unique experience. To spend the day, guests can enjoy an abundance of options. Go on a voyage on glass bottom kayaks, hike the rainforest, snorkel the turquoise waters, or explore a cave. The adults-only setting makes it easy to relax and unwind in the lap of luxury. 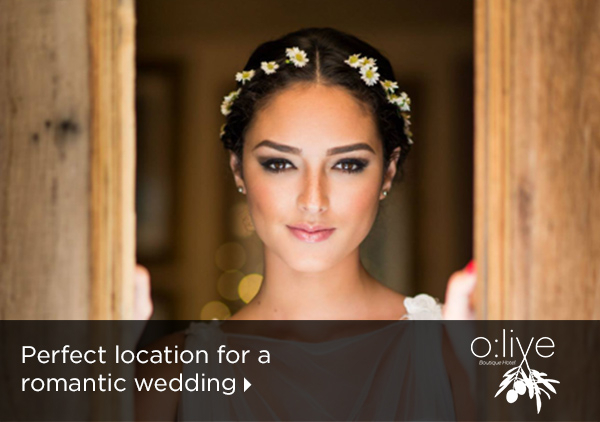 Send an availability request with your requested dates to the Olive Boutique Hotel - Adults Only. Features Queen bed, living room area, outdoor patio, dining area, rainfall shower. Features a unique design and an all-glass spa shower. Features one Queen bed, living room area, outdoor patio, dining area, rainfall shower. Features 1 Queen bed, living room and a veranda with Jacuzzi.